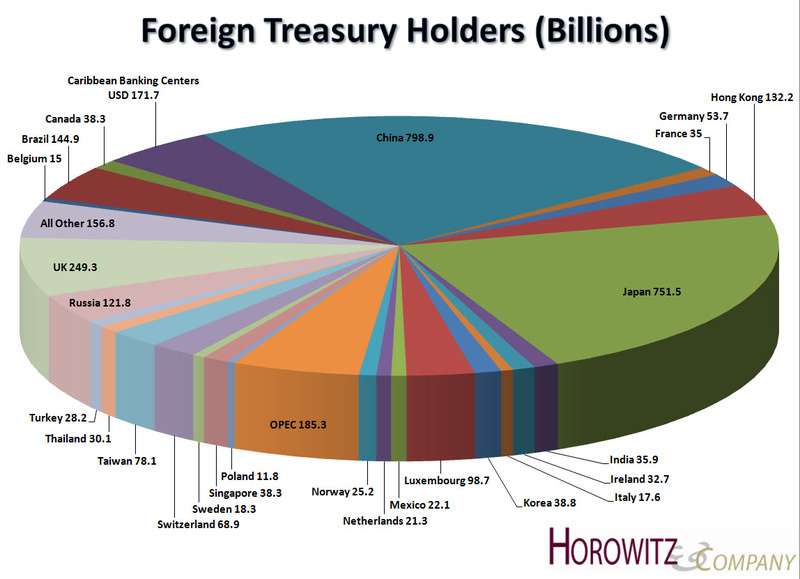 Foreign Treasury Holders – What is China Doing Now? That is what it looks like. 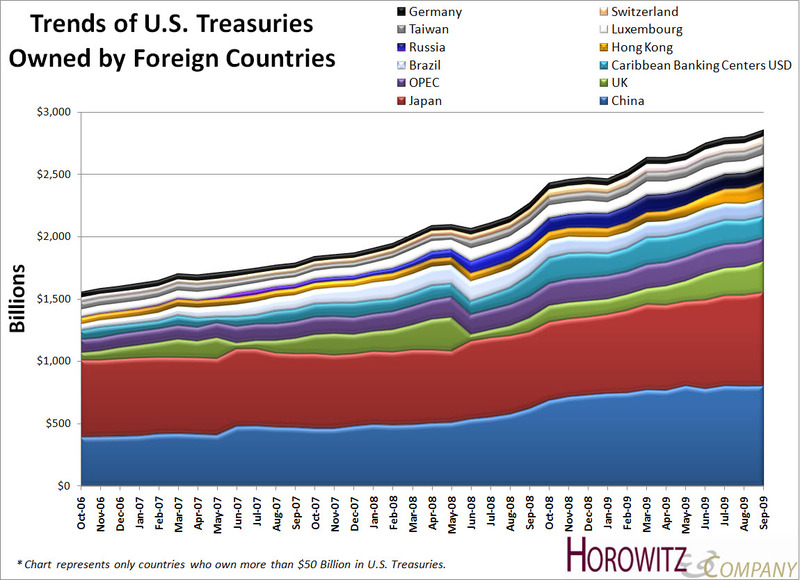 With all of the huffing and hooting by Brazil, Russia, India and China, we are still seeing inflows. That’s important because someone has to foot the bill for all of the money that is being spent on bailing out the sinking ship know as the U.S. Economy. How we will continue with a policy of a weak dollar and at the same time believe that there will be an insatiable appetite for our debt is hard to grasp. It does look like China is starting to get the hint as they are slowing purchases and India is buying up gold. 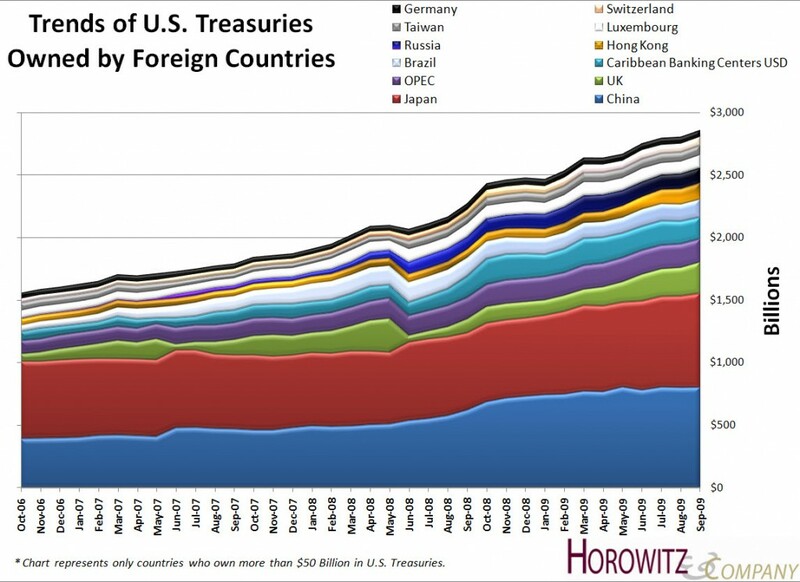 Net foreign inflows to the U.S. (including short- and long-term flows and bank deposits of foreigners) were positive US$113.7 billion in September 2009 (from US$25 billion in August), as foreign purchases of long-term U.S. securities offset a decline in short-term assets like treasury bills. Purchases of long-term securities increased to US$55.7 billion (from US$37.5 billion in August) with private investors accounting for US$44.8 billion, and foreign official institutions (central banks) accounting for US$10.9 billion. 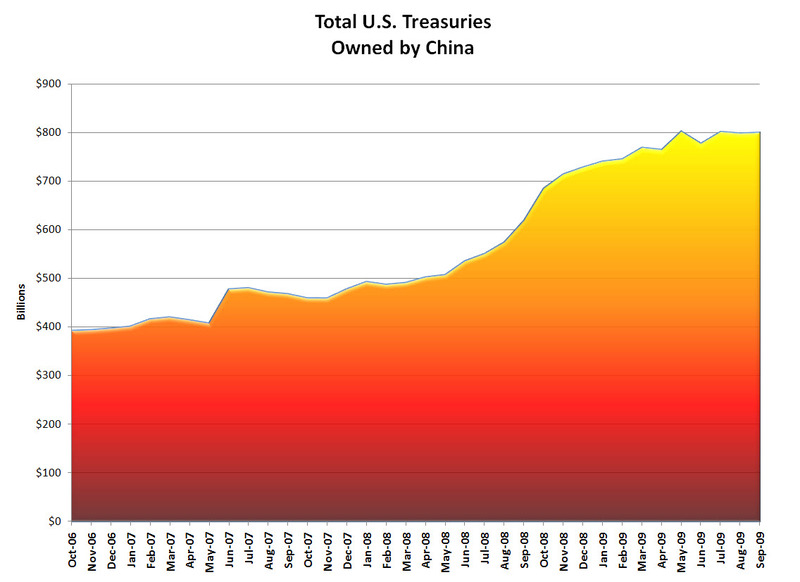 China is still a BIG holder and will surely continue as their reserves dictate. 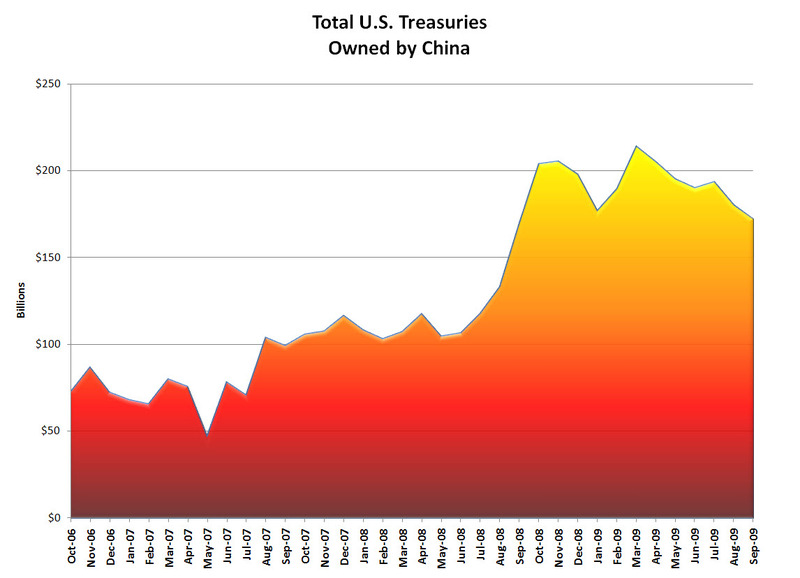 China is slowing the purchase of U.S. Treasuries. Could this be a sign that they will no longer peg their currency against the dollar?